Oct. 4, 2012, 11:57 a.m. The Times-Picayune’s strategy of cutting back on print days might make sense in the long run. But its execution has opened up the door for competition and weakened its ability to generate more money from readers. By Ken Doctor @kdoctor Oct. 4, 2012, 11:57 a.m. I was struck, as I’d bet many of you were, at how New Orleanians reacted to the impending lost of their daily print newspaper. People out in the streets (iconic for the ages Ted Jackson photo), demanding their paper. Now, The Times-Picayune has gone three days a week, and the reach for metaphors continues. Is this a milking of a dying franchise? The corralling of remaining print advertisers into a smaller, less-expensive-to-keep pen? Is it the tale of the Newhouses trying to keep their storied brands alive as print continues to weaken? We’ll need David Simon to properly chronicle this New Orleans drama. In the meantime, we’re left with hard and perplexing questions about Advance’s New Orleans strategy. I’ve talked to many in the business, and, for most, it’s a head-scratcher; they have a hard time seeing Advance’s end game in New Orleans, Alabama, Michigan — and soon Harrisburg and Syracuse — as journalists and readers at other Advance properties in Cleveland, Newark, and Portland all nervously watch on. They worry that Advance-like moves will only hasten newspapers’ irrelevance to advertisers and readers, and further limit the time they have to transition to mainly digital enterprises. We all realize that, at some point, daily print will go away. Is Advance simply ahead of the pack in leading the way, or has it taken a terrible misstep? In thinking through and talking through the change, here’s my sense: The New Orleans strategy, brilliant perhaps in its analysis of the current print ad market, will be long hampered by its reliance on advertising and its further minimizing of reader (circulation) revenue. Consequently, it is at best a conservation strategy, making growth — revenue growth and journalistic growth — hard to achieve. 2012 may well be the highest point The Times-Picayune sees, as the likelihood of future cuts increases. It’s near impossible to see how this is a growth strategy for the T-P’s (and the city’s) future. I’ve arrived at that conclusion in looking at the newsonomics of Advance’s New Orleans strategy. Given that Advance is among the most private of private companies, we’ll have to use a neo-Rumsfeldian approach to the analysis. Here, that means we’ve got the tangibles, the intangible tangibles, and the intangible intangibles. In the first group, we’ve used comparative hard numbers on revenues and costs, extended by extrapolation and likely impacts of the print shrinkage. While Advance won’t release numbers, the Times-Picayune mid-market metro experience isn’t all that different from its peers, so we can look at comparative business practice. Then we’ve got the fuzzier “reader habits” and “advertiser habits,” both of which will produce tangible results in circulation and ad revenues, as they inevitably change as The Times-Picayune morphs to more and more digital. Finally, we’ve got the impossible-to-put-a-calculator-to issue of lost institutional clout, of influence. Newspapers’ abilities to influence local public policy — an ability mainly used for good over the years, but whose loss is way underestimated in the carnage of cutback — has been in decline. In New Orleans, this move, despite the continuing efforts of of Jim Amoss and the editorial page leadership, is likely to see it decline further. Keeping those intangibles firmly in mind, let’s run some numbers. The goal here seems clear: produce a more sustainably profitable paper. That position is common among dailies, especially metro dailies. The only way they’ve maintained even single-digit profitability since 2009, when they lost about a fifth of their ad revenue, has been to slowly cut, and then cut some more. So Advance’s moves across its markets are a dramatic re-set, an all-but-public announcement that the death of print is nearing, and that digital is no longer a destination. Digital is where The Times-Picayune has had to sprint to, in a short four months (“The Newsonomics of New Orleans’ Forced March to Digital”). Simply, then, if you want more profit, and more likelihood of it, those revenues have to more comfortably — and predictably — out-distance the costs. So, let’s look the changes in both, and see what we can figure out. We’ve seen various estimates of Times-Picayune overall revenues, but since they’re not verified, let’s just look at likely percentage cuts in revenues and costs. Figure that The Times-Picayune will fairly immediately see lower revenues of about 16 percent. How do we get to that number? Reader or circulation revenue should drop by about 21 percent. The reasoning: Circulation revenue accounts for about 30 percent of total revenues, extrapolating from similar paper data and overall trends. Of that, assume that about a fifth of that is single-copy, four-fifths subscription. Single-copy prices are unchanged in the transition. With four fewer days of publication a week, though retaining the higher priced Sunday, figure that the T-P loses a third of its single-copy revenue. So that’s 2 percent of overall T-P revenues. Subscription pricing is changing from $18.95 for seven days to $16.95 for three days. That’s a 10.5 percent decrease in subscription revenue for any household keeping its subscription. Further, figure that 8 percent of subscribers balk at the new deal, a combination of recognizing a whopping price increase and a protest about the print cutting move overall. Certainly, some of those protesters may come back — or the T-P may lose more. Add up the lost subscribers and lower pricing and the T-P loses about 21 percent of its subscriber revenue. And that drop represents a little more than 6 percent of total revenue. Advertising revenue should drop by 13.5 percent. The reasoning: Ad revenue accounts for about 70 percent of total revenues, extrapolating from similar paper data and overall trends. Of that, assume that about an eighth of that is digital, the rest, print. We’d assume that ad pricing will be stable. The paper’s insert or preprint business, probably about 20 to 25 percent of its total print revenue, should be saved; in fact, that’s a cornerstone of the Wednesday/Friday/Sunday strategy. Could it see an increase in digital ad revenue? Sure, but much of that volume will be in “general news,” so pageviews only won’t make a big difference. Over time, a 20 percent increase in pageviews might spur a further 10 percent gain digital ad revenue, but that will take time to develop. With a 15 percent cut in print ads and steady digital, that’s an about 13.5 percent loss in ad revenue. And that drop represents a little under 10 percent of total revenues. Figure that The Times-Picayune will fairly immediately see lower expenses of about 27 percent. Clearly, the major target of these cuts is the legacy print-and-distribution anchor of the business. Manufacturing (printing), newsprint, ink, and distribution are a good 40-plus percent of costs. Cutting four of seven days doesn’t provide easy math. Distribution centers are built out and maintained for the big, prosperous Sunday edition; maintenance, overhead, employee, contractor agreements. and more add in costs that may appear variable, but are at least in the shorter term fixed. So let’s figure that Advance can cut 35 percent of those legacy print-and-distribution costs. That yields an 14 percent overall cost cut. The T-P cut a third — or 201 positions — of its workforce in a June announcement. Most of those would have come out of the reduced printing/circulation operations. Publisher Ricky Mathews told me that the sales staff is “up,” so while it’s possible higher-priced staff have been replaced with more lower-priced ones, let’s call that flat. In the newsroom, Mathews says there are “156 people in our news operation. We started with 181.” About 40 of those positions are new — differently skilled and presumably lower-priced, on average — hires, with 84 of 173 newsroom staffers let go. Let’s say the 14 percent cut in headcount yielded a 20 percent cut in newsroom costs. With newsrooms accounting for as much as 15 percent of the costs of a newspaper, let’s call that 3 percent additional savings to the overall T-P budget. How much in other cuts have been made, as the company cleaves itself into two, NOLA Media Group and Advance Central Services Louisiana? As another publisher put it, there’s the direct operational costs due to the print shrinkage…and then there’s the opportunity to right-size that such massive change brings along with it. So let’s say that Advance took out another 10 percent of total costs in its sweep. That may be generous, but we know the intent behind the entire strategy. That would yield a total savings of 27 percent over the old seven-day costs. The grand math: 11 percent more cost savings than revenue losses. It could be high or low, but at 11 percent it would double or triple the profit margins of many metro papers. It would also buy time, but only if those revenues hold at estimated levels and don’t take a deeper, self-inflicted swoon. They need to reduce their reliance on advertising as a major (the major) revenue line for news publishing. So we see lots of efforts to diversity revenue sources, from new events businesses to marketing-services businesses to treating their presses and distribution investments as profit centers, through in-sourcing. They need to get readers to pay lots more for the news. Digital circulation, a.k.a. paywalls, has emerged as the definitive strategy for 2013, as publishers rapidly move to an era where readers (the best being all-access, print-and-digital combined ones) pay for more of the enterprise than advertisers. (“The newsonomics of majority reader revenue”). As other publishers approach 40 to 50 percent of revenues coming from readers, the T-P is doubling down on advertising as a strategy. Maybe that’s not surprising. As a seven-day daily, its $18.95 a month rates was well below an industry average which is rising toward $30 a month for like-sized papers. It could have priced up significantly, as others have done in the last three to five years — but now it can’t. If the T-P had charged $30 for print, and then added all-access digital subscriptions — a prevailing strategy of the day — then it would have a much better shot at keeping much more circulation revenue longer-term. Now it will struggle to hold a lower $16.95 price point and has little chance of raising it soon. In advertising, it faces the same print downturn as its peers. Remember that’s why it made this move. So, yes, it is pushing that — maybe — 85 percent of retained ad revenue into fewer print days, but that’s not a stable number. Print ad revenue has been dropping for six years, and most metro publishers believe they’ll see another 5 to 10 percent drop next year. Digital advertising? All of the newspapers in the New Orleans metro market account for only 23 percent of the digital ad spend there — a couple of points lower than other metros, says Gordon Borrell, whose Borrell Associates tracks such spending. Yet, most studies point to print getting a smaller and smaller percentage of the digital ad growth. In New Orleans, the weakened T-P must now battle with 24 other dailies and 15 weeklies, in addition to taking on Google, Facebook, Yelp, and dozens of others. 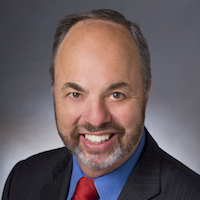 It is offering marketing services, essentially acting as a regional ad agency, as Hearst, Gannett, Tribune, and McClatchy operations are doing, confirms Randy Siegel, Advance’s president of local digital strategy. But there’s little sign of that push on Nola.com’s ad page or Advance Digital’s own site. That looks like still another sign — like the failure to embrace digital circulation before it halved its print franchise or to create state-of-the-market apps before readers are shoved into online access — of a rush to digital that looks too fast for Advance’s own good. That timing, and the locale, may be the story here. In most of the other Advance markets now going three-days-a-week, competition is more minimal. In New Orleans, though, feisty local TV stations, partnering here and there with others, are upping their news competition. On the nonprofit side, the competition is led by The Lens, a serious journalism upstart whose initial quality is vaulting into the top echelon of regional startups, pioneered by MinnPost, Texas Tribune, and California Watch. It has now hammered out an agreement with public radio’s WWNO, which has had little news presence but can now act as an effective conduit for a growing The Lens, and the evolving Digital News Alliance. The daily Baton Rouge Advocate won lots of headlines for its New Orleans edition. Though it won’t impress anyone as a New Orleans substitute, it further nibbles around the T-P’s increasingly tattered edges. Simply, the T-P’s slimming has opened up a floodgate of competition. That competition makes the distinctive value proposition of the T-P harder and harder to get paying readers to accept. So, in New Orleans, Advance is translating its Michigan strategy in ground that may not be as fertile. The long game of day cuts makes sense. Yes, by 2016, many more papers will be dropping days of the week — Monday as the little toe of daily publishing? — but most look at such day cuts as part of a longer-term strategy. Paywalls. Pleasing mobile experiences. Greater diversification beyond traditional advertising. All of these strategies provide a path to that elusive new sustainable news business model. Advance — in what I hope is not a rush to nowhere — seems to believe in time travel. For T-P readers and employees — as well as those at the three overlooked Alabama dailies, in Michigan, in Harrisburg, and in Syracuse — it’s going to be much more than a bumpy ride. We’re left then with the big question: Why? Based on relatively small, and early, Michigan evidence, Advance believes its strategy is scalable and transportable. It — and the industry — will certainly see the test unfold. Yet in the face of print ad decline, and the missing piece of digital circulation, it has set boulders in front of its new path. Today, even with a 11 percent — more or less — profit difference, is not tomorrow. In addition to rolling the dice, maybe Advance, seeing the disappearing ink of newspapers on the wall, is simply minimizing its downside risk. If you believe print is dying ever more quickly, then make major cuts now, leaving less exposure to further print downturn in the next three years. That’s not a strategy you’d want to yell from the rooftops — but it’s one that we may see playing out on the ground. POSTED Oct. 4, 2012, 11:57 a.m. Doctor, Ken. "The newsonomics of Advance’s New Orleans strategy." Nieman Journalism Lab. Nieman Foundation for Journalism at Harvard, 4 Oct. 2012. Web. 23 Apr. 2019. Doctor, Ken. "The newsonomics of Advance’s New Orleans strategy." Nieman Journalism Lab. Last modified October 4, 2012. 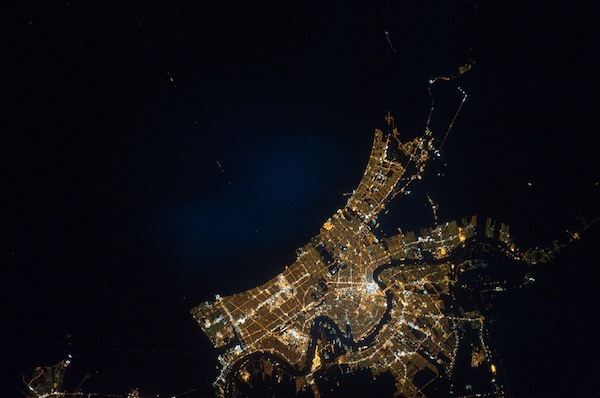 Accessed April 23, 2019. https://www.niemanlab.org/2012/10/the-newsonomics-of-advances-new-orleans-strategy/.